The first-place Yankees are fresh off a series win against the Kansas City Royals and will continue their road trip by traveling to St. Petersburg to face off against the fourth-place Tampa Bay Rays. The Yankees come into the series at 24-14 and sit on top of the standings, but are 5-5 in their last ten games. Other than CC Sabathia’s outing in Kansas City, starting pitching has been ineffective for the Bombers and it will need to be improved upon against the Rays. The Rays are 21-22 and are coming off of two series wins in Boston and Cleveland, so they will look to continue their momentum on their seven-game home stand. The Yankees are 4-2 against the Rays this season including a sweep in New York that was a part of their eight-game winning streak early in the season. However, despite their subpar record, the Rays always tend to play the Yankees tough and make every game competitive, which should lead to a quality series. The first game of this three-game series will feature Luis Severino and Erasmo Ramirez. Severino has been very solid this season, but he easily had his worst outing of the young season his last time out. He lasted only two innings and forced a heavy workload on the bullpen. Severino dominated the Rays his last outing, however, as he struck out eleven Rays over seven innings of work. 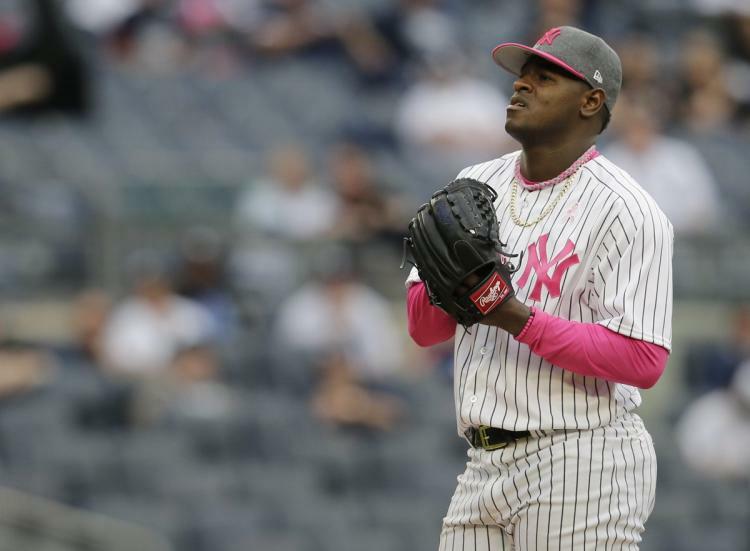 This is a prime opportunity for Severino to get back on track against a Rays offense that is known for striking out a ton. The Rays projected starters have combined to go 14-for-61 in their careers against Luis Severino with a whopping twenty-four strikeouts. The Rays are sending swingman Erasmo Ramirez to the mound to face off against Severino. Ramirez has pitched mostly in relief this season, but in his one start, he pitched four shutout innings against a potent Baltimore Orioles offense. The Yankees historically do not hit Ramirez well, as they are hitting .213 against him as a team, including Chase Headley who is 2-for-20. 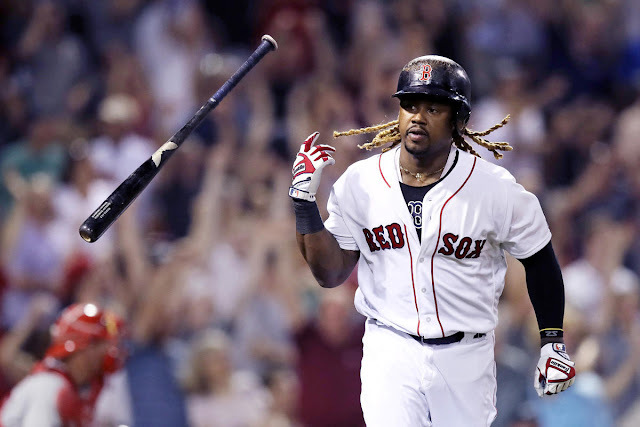 Ramirez took a no-hitter into the eighth against the Bombers in September of 2015, however the new look offense should fare better against the crafty righty. 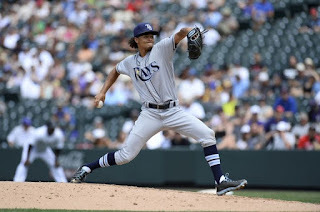 Ramirez has not pitched to great length yet this season, so it will not be surprising to see the bullpen be a big factor in this game for the Rays. Game two will feature the Yankees’ ace Masahiro Tanaka try to redeem himself after arguably his worst performance in his MLB career on none other than Derrek Jeter Night. This game will be played in a dome, because it is Tropicana Field, but Tanaka has not fared well in day games this season. In three starts he has an insanely high ERA of 17.36 and has pitched only nine innings. To add insult to injury, he has a 23.63 ERA on turf fields. The long ball has been his downfall this season, so his key to bouncing back on his horrific outing will be to keep the Rays in the ballpark. Brad Miller has three home runs against Tanaka in his career. Matt Andriese will pitch for the Rays on Saturday. Andriese has been a pleasant surprise for the Rays this season as his ERA is currently a run lower than his career average. Right-handed hitters are hitting one hundred points higher versus Andriese than lefties, so the Yankees right-handed batters will need to score on Andriese early, as it is uncertain which Masahiro Tanaka will show up to the mound that day. Andriese was also the pitcher who allowed the first career home runs to Tyler Austin and Aaron Judge. Game three could be viewed as a lopsided pitching matchup. CC Sabathia, who outside of three terrific starts, has been dismal this season. Sabathia pitched beyond expectations in game one of the series against the Royals, but despite putting up quality numbers, he was hit hard for much the night, which is very alarming. Sabathia will need to continue to locate his pitches well and change speeds in order to contain a Rays lineup that has had success against him in the past. Evan Longoria is 30-for-73 with seven home runs and twice as many walks as strikeouts in his career versus Sabathia. Kevin Kiermaier, Tim Beckham, Logan Morrison, and Steven Souza Jr. all have career averages of .375 or better against the veteran southpaw. The ace of the Rays, Chris Archer, has pitched better this season than his 3.70 ERA suggests, as a few poor starts have inflated his ERA. Archer pitched seven strong innings on opening day against New York, but the Yankees have had success against Archer in the past. Jacoby Ellsbury and Starlin Castro are hitting .514 and .467 respectively against the Rays’ ace. The offense is going to need to work the count and try to prevent Archer from going deep into the game in order to win this matchup. With Sabathia on the mound this could be a tough game for the Bombers. Dellin Betances was recently named the closer with Aroldis Chapman being placed on the disabled list with shoulder troubles. 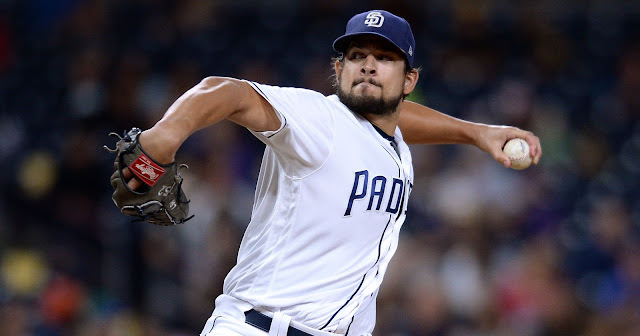 No one doubts his ability or his pure stuff as he is one of the game’s premier relievers, however, he has had his struggles in the ninth inning role. Whether it is the pressure of pitching the ninth or another mental distraction, Betances needs to prove to the baseball world he is capable of shutting the door in the last inning and further strengthen his reputation as an elite relief pitcher. 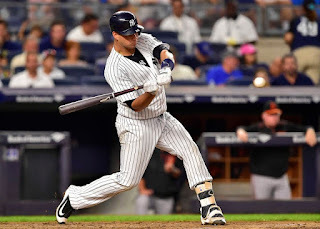 Chris Carter’s days of playing every day could become very numbered with Greg Bird and Tyler Austin eventually returning from their respective injuries and Matt Holliday showing he is capable of playing first. Carter is striking out at an alarming rate, which is normal for his style play of play, however, his current home run rate is well below what he is used to. Without the power, Carter is an extreme liability in an electric Yankees lineup. Carter needs to start either hitting more consistently or hitting more home runs if he wants to continue donning pinstripes. The Yankees quartet of right-handed hitters have been destroying the baseball as of late and will need to continue doing so against a Rays team that features quality pitching. 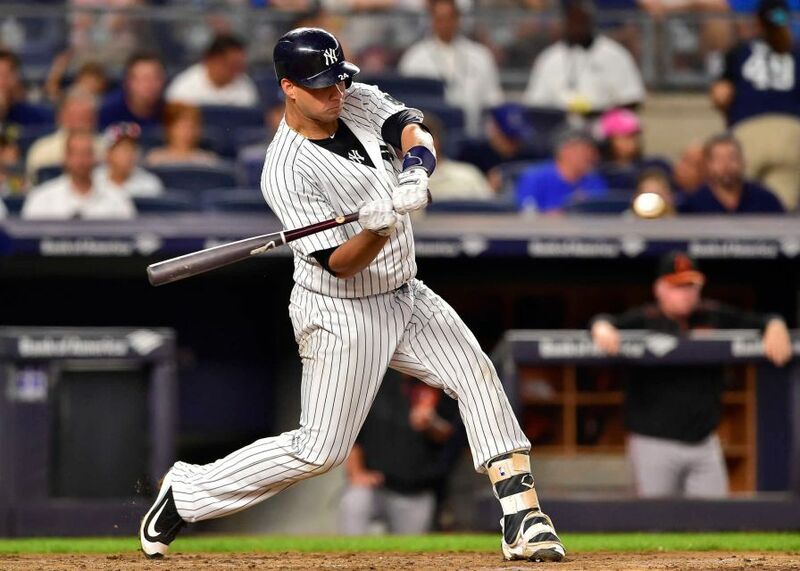 Aaron Judge, Starlin Castro, Matt Holliday, and Gary Sanchez all need to continue contributing in order to back up the starting pitching, which has been subpar as of late. 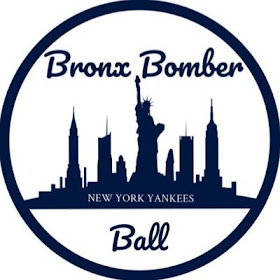 Yankees fans have been happy with Sanchez in particular since his disabled list return, however, he has still yet to discover his home run stroke that astonished all of baseball last summer. This series could be the return of El Kraken’s reign of dominance. Evan Longoria does not need a stat or a breakdown to advocate why he is being labeled as a player to watch in a Yankees vs. Rays series. He is the face of the franchise and has been a Yankee killer over the course of his entire career. He started off the season strong, but after missing a few games due to an injury, he has cooled off. A series against the Yankees is the cliché opportunity for him to heat up and put up some big offensive numbers especially against CC Sabathia, who he has absolutely owned in his career. Corey Dickerson was acquired from the Rockies in the previous offseason to be a sparkplug for the Rays’ offense. While he hit twenty-four homers, his .300 career average he had in Colorado was not sustained for the Rays. He has turned that around this season as he is hitting .335 with nine home runs in the early going. The Yankees will need to pitch to Dickerson carefully or he will put runs on the scoreboard. Dickerson has hit .375 in his career against Tanaka. The Yankees have been one of the best offensive teams in the American League. Their issue so far, however, has been hitting quality pitchers. Dallas Keuchel, Lance McCullers, and Danny Duffy have all quieted the offense over the past week and Chris Archer will be another test for the offense. Archer has elite strikeout potential, so the Yankees will either need to attack first-pitch strikes early or work the count and not bite at his off-speed offerings. This series could go very well for the Yankees as they are avoiding Jake Odorizzi and Blake Snell who have had success against the Yankees in the past. If the offense stays hot and the starting pitching gets back on track, this could easily be a series win for New York or possibly a sweep if the Yankees find a way to effectively attack Chris Archer on Sunday. 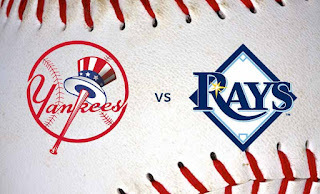 The Yankees should not take any of these games lightly, however, as the Rays are never an easy opponent for the Bombers.